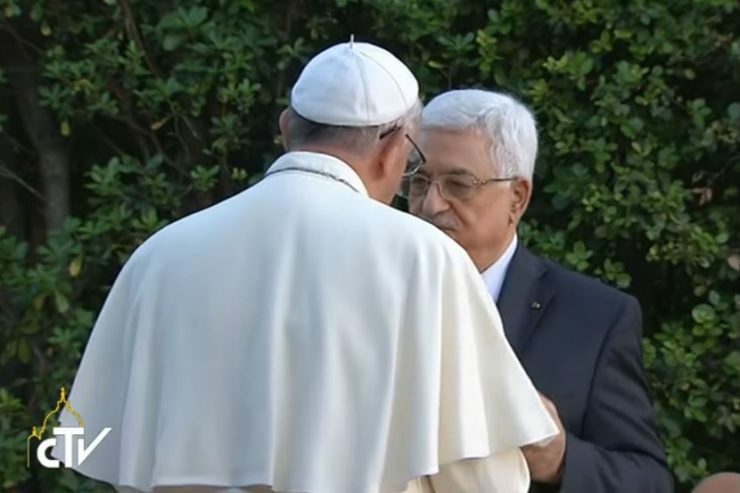 “We are pleased to know that you are maintaining your visiting project in Egypt (…), it is a courageous step that reflects your commitment to the achievement of justice and peace,” says the message sent by the Embassy of the State of Palestine to the Holy See on April 12. The Pope is expected to visit Egypt on April 28 – 29. “We hope that you can bring a message of hope to the Egyptian people and all the Arab and African peoples,” Mahmoud Abbas adds, “a message of unity, equality and coexistence. We firmly believe in your simple, yet powerful words that “love is stronger than evil”. In the name of the State of Palestine and on behalf of the Palestinian people, it is my pleasure to extend to Your Holiness our sincerest greetings and best wishes. We are pleased to hear that you are going ahead with your planned visit to Egypt, even after the brutal terror attacks against two Churches in Tanta and Alexandria, which killed dozens of faithful on Palm Sunday. We believe that this is a courageous step that reflects your commitment towards the realization of justice and peace and encourages moderate voices throughout the world and especially in our region. We wish you all the best for this Holy Week and reaffirm our conviction that your visit to Egypt will provide Egypt, and the rest of our region, with a strong message of hope and love. It is our wish that Your Holiness will continue to pray for us, as you did here in Palestine during your pilgrimage visit to the Holy Land in 2014. And here, we affirm to Your Holiness that the hope is still deep in our thinking and hearts that Jerusalem will continue to be the city of peace, love and justice.